Negative online reviews are a fact of life. 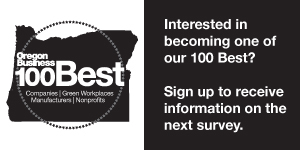 Our annual 100 Best Companies to Work For in Oregon survey is underway. Now in its 22nd year, the survey culminates in a ranking of the state’s best places to work based on employee responses to a satisfaction survey. Is your company one of the BEST manufacturers in Oregon? Find out!